Tel Aviv-based mobile health startup Healthy.io Ltd. has raised $18 million in a series B round led by Israeli venture capital firm Aleph, with participation from Samsung's innovation center Samsung NEXT. The round brings the company’s total funding to date to $33 million. 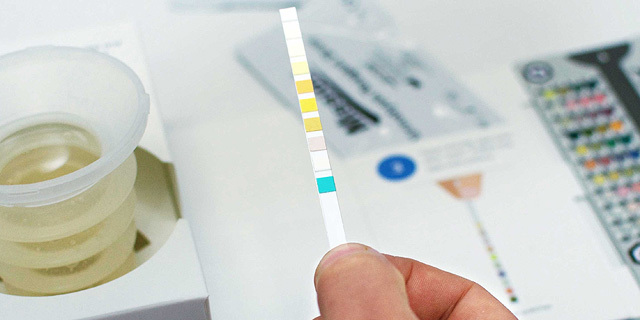 Founded in 2013, Healthy.io offers a home kit for urine testing capable of analyzing several different parameters, including a range of infections, chronic illnesses, and pregnancy-related complications. Patients use their smartphone camera to scan the dipstick provided in the kit, and Healthy.io’s app uses computer vision and artificial intelligence algorithms to analyze chemical color changes to the dipstick and provide users with instant results. Healty.io stated it intends to use the funding to scale up its kit, which received approval from the U.S. Food and Drug Administration (FDA) in 2018. The company also has a CE Mark in Europe. In January, Healty.io announced a partnership with U.K. beauty retailer and pharmaceutical chain Boots UK, to trial its kit in selected pharmacies as a test-and-treat service for women with urinary tract infections. Those purchasing the kit will be able to receive medication from the pharmacist if it comes back positive, without requiring a prescription. The service will initially be offered in London, Cardiff, and Sheffield. Boots has around 2,500 branches in the U.K. and Ireland. Healthy.io, which also has offices in London and New York, already has already signed several large scale collaboration deals, including with the American National Kidney Foundation and the Pennsylvania-based Geisinger Health System.